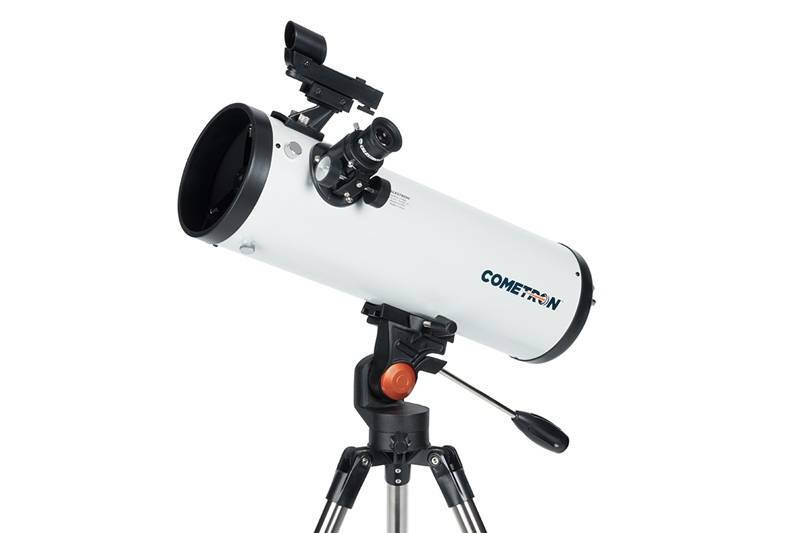 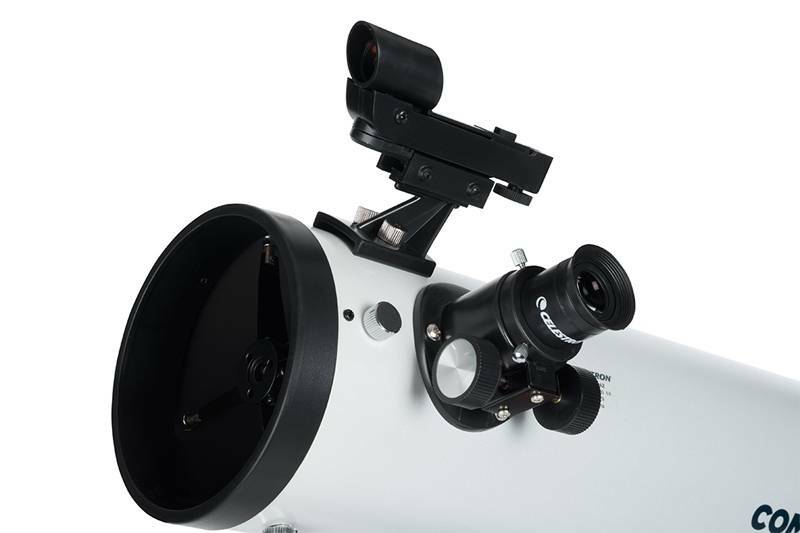 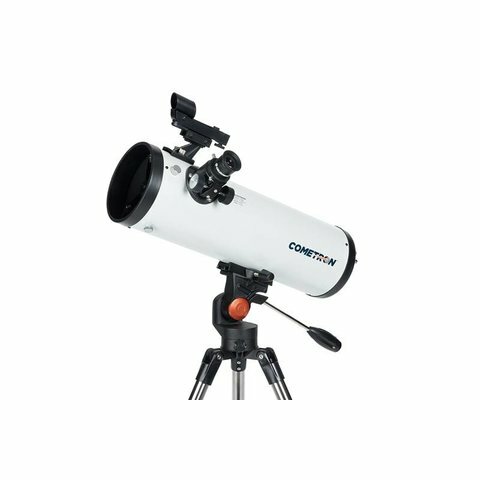 Designed specifically for viewing comets, Cometron 114AZ offers a 114 mm parabolic mirror to capture the sharpest views of even dim comets on their journey toward the Sun. 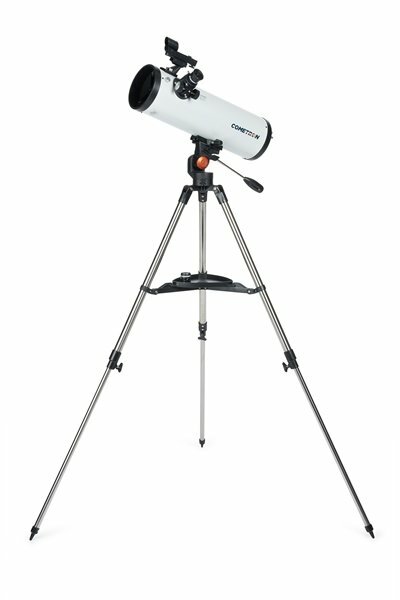 Two high-quality Kellner eyepieces are included to enhance your views. The simple Newtonian reflector optical design, altazimuth mount, and included red-dot finderscope make it easy to navigate the night sky. 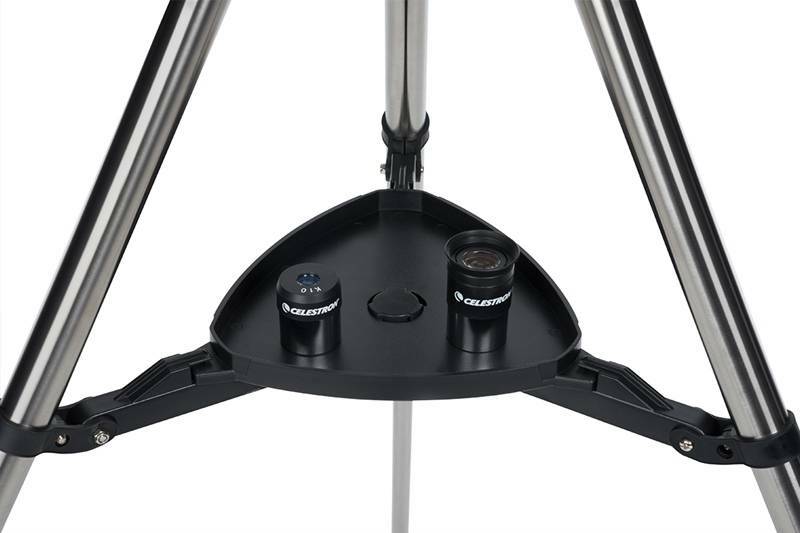 A steel tripod provides stability.